Tonight! 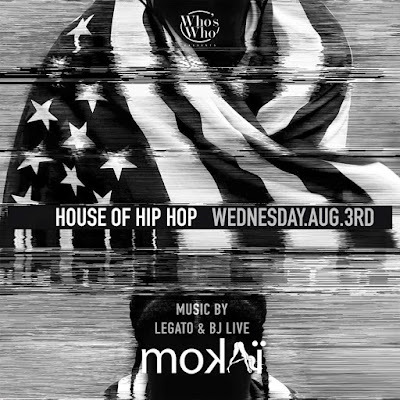 House of Hip Hop at Mokai is bringing you the #1 party in the world! Join your favorite celebrities and top models to celebrate your midweek! Sounds by DJ Legato | DJ BJ Live | + More!